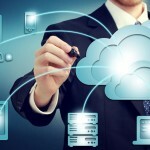 You are here: Home - Cloud Tech - Cloud Backup Or Sync? Whether your data is stored in The Cloud, on your Desktop or on your Server, you should be backing it up at least daily. There are a myriad of backup options available on the Desktop, from Windows Backup to Symantec and other more advanced options. Some are mirror image backups, some are file by file. As well as backing up we should also be testing our Restore processes to make sure our backup files are not corrupt and that we know how to restore if and when that disaster does strike! These days, thanks to The Cloud, backing up has become more simplified and in some cases, more secure and accessible than ever. 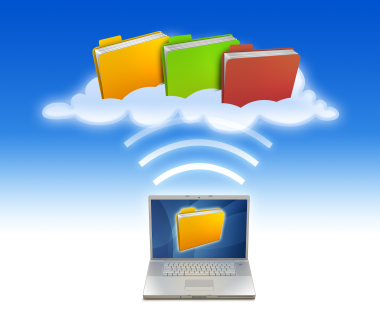 By signing up to a Cloud based backup agency such as Livebackup.com.au or Cloudbackup.net.au, or some Dekstop providers such as McAfee, Western Digital or Symantec, you can be backing up to your very own virtual server in a matter of minutes. Should disaster strike, restoration is simply then a matter of obtaining a new PC, getting back on the Internet and signing in to your chosen service. However, what if you need a more instant approach? What if it were free? Lucky for consumers the Desktop to Cloud Sync market is being hotly contested at the moment mainly between Dropbox, Google Drive and Microsoft’s One Drive. Depending on the service and the offer you take up on you could find yourself with up to 50GB of free storage! Now the main advantage of these services is that you can install a synching agent onto your Desktop meaning that every time that file changes, as you are working on it, the synched copy is being sent up to The Cloud! Restoration is also extremely simple as you can login to these systems from any Desktop and even almost any mobile phone or tablet. If you are looking for a combination of both a robust backup solution and local sync service, then something like Sugarsync or Crashplan might serve you best. We have experience with Crashplan and can highly recommend it. The beauty of this service is that your files are also backed up to a local drive then synchronised to the Cloud, and you can specify how much bandwidth and at what times it performs the uploading. Which ever service you choose, please make sure you are backing up all of your important business files, including your Accounting and CRM databases, and also ensure to test your Restore methods and regularly backup your backup files for a second layer of security! Cloudbackuping.com discuss how to choose an online backup solution here in this video.